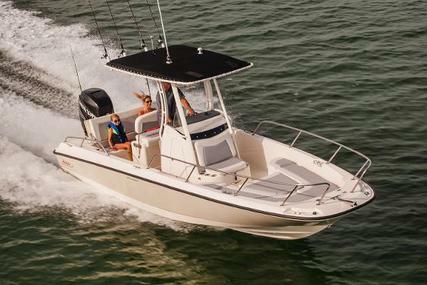 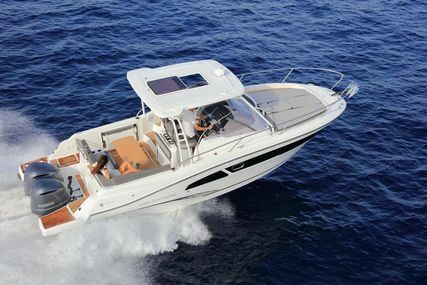 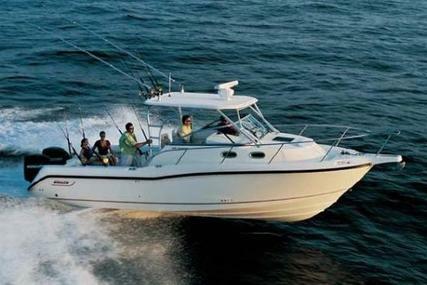 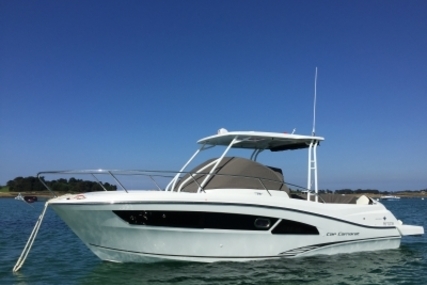 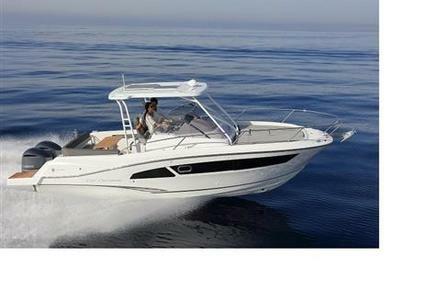 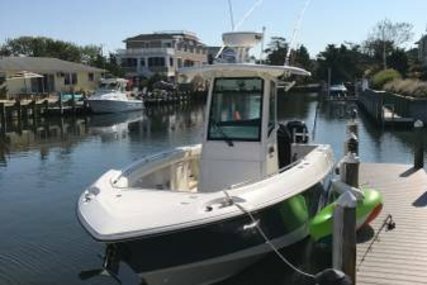 The 230 Outrage is a fierce performer that's remarkably spacious for its size. 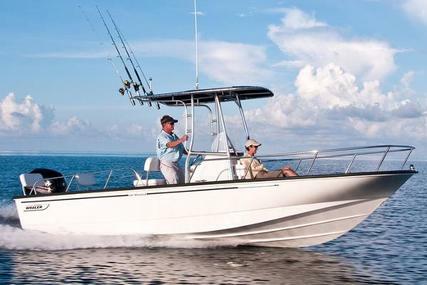 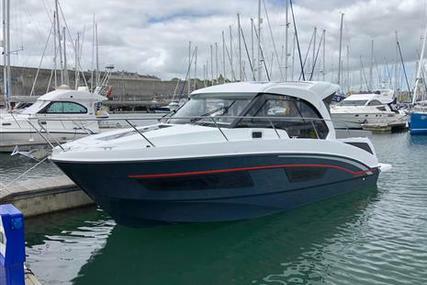 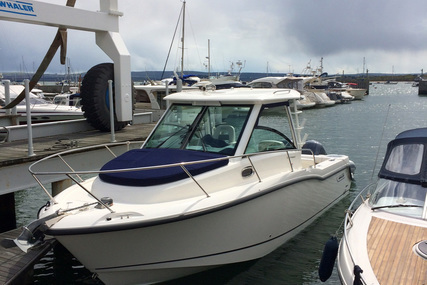 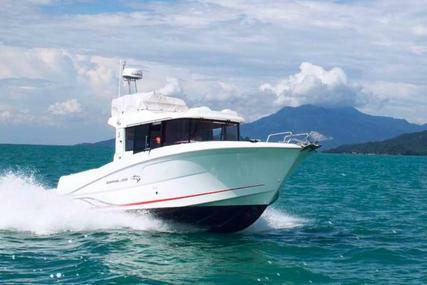 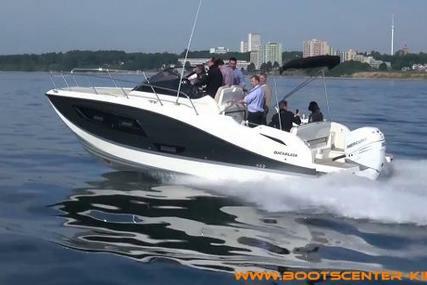 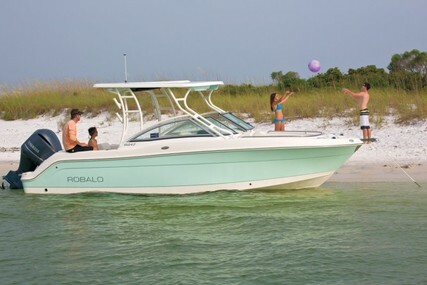 Fishing or laidback-entertaining combined with performance and a soft, safe, dry ride. 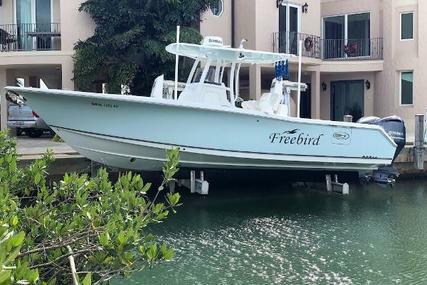 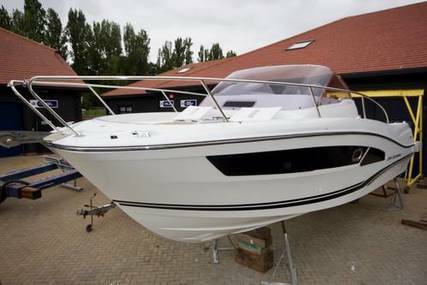 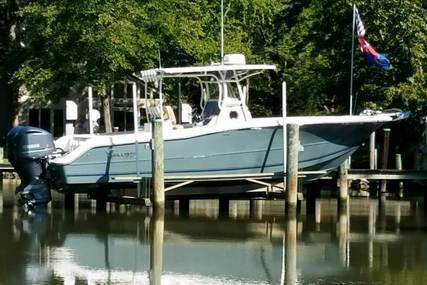 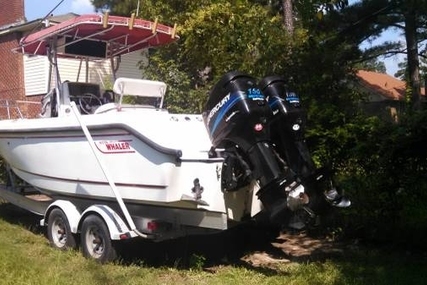 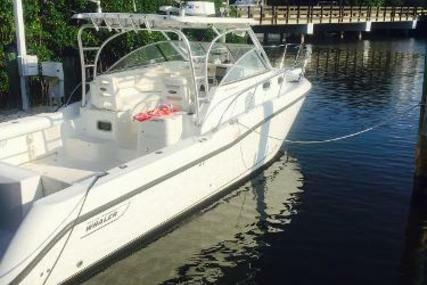 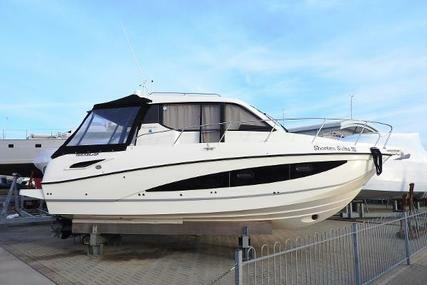 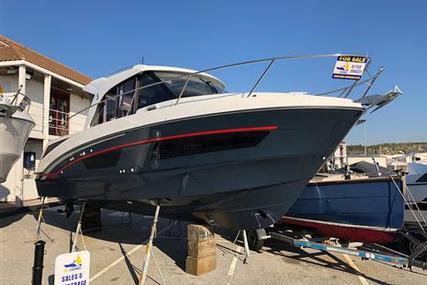 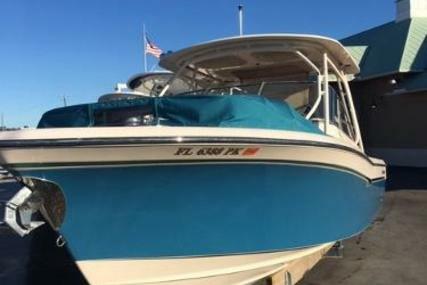 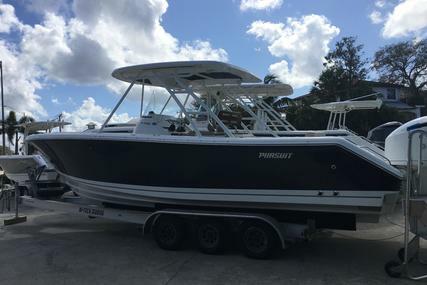 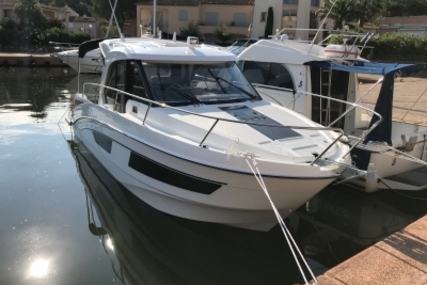 Contact us for more information and details on this available boat. 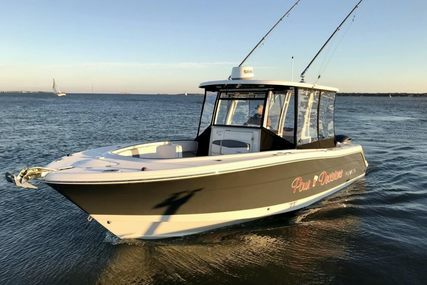 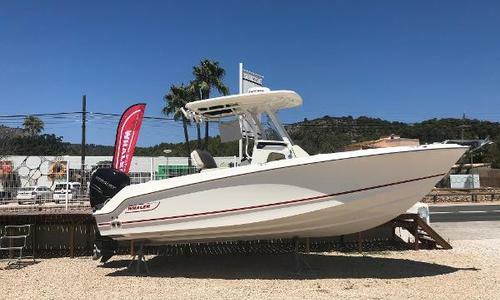 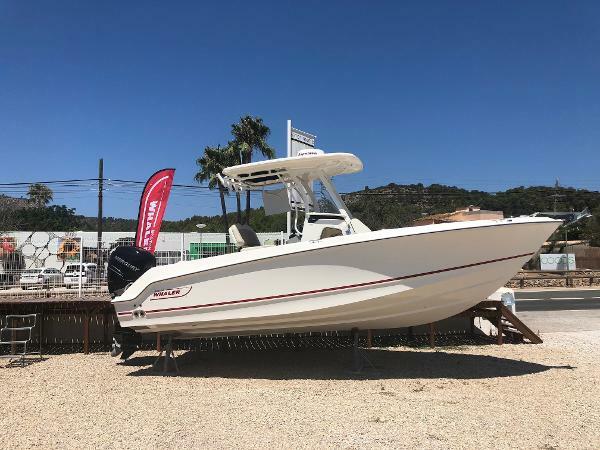 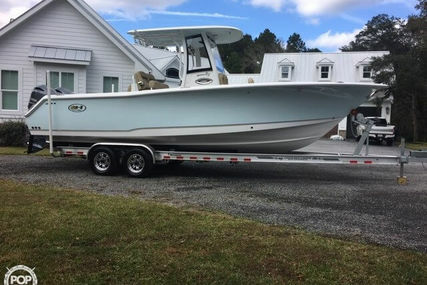 White hull with red graphics, 300 hp Mercury Verado XXL engine (black), fibreglass hardtop, anchor windlass, bow cushion, portable head w/pumpout & O/B discharge, Fishing package (Cockpit coaming bolsters, fishbox pump-out, raw-water washdown, transom mounted rod holders (2), CE certification.